Custom officers on Tuesday destroyed 45 kilos of rare bird nests considered a delicacy in China and have a street value of nearly half a million dollars. The officers burnt the pile of swallow nests recovered from passengers at the BIA and parcels intended for overseas delivery over the past four years. 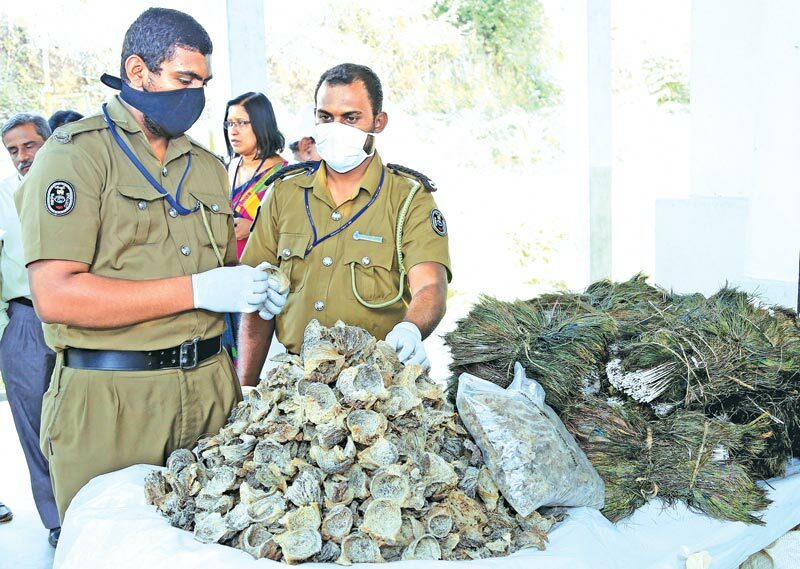 "We destroyed this stock to demonstrate our commitment to protect endangered species," customs spokesman Dharmasena Kahandawa told AFP. "There may be a street value of up to $10,000 for a kilo of birds’ nests, but for us it has no value at all because this is an illegal trade." 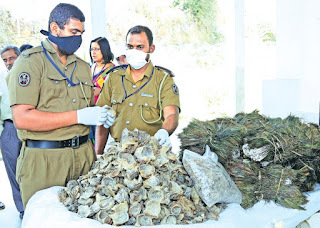 Another 40 kilograms of feathers from exotic birds and other animal parts used in Chinese medicine were also destroyed on Tuesday, together with the edible nests, at a Colombo cemetery’s crematorium. The nests are the main ingredient in bird’s nest soup, considered a delicacy in China and other Asian countries. 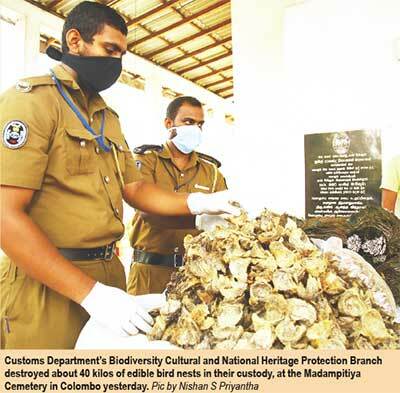 But removing, owning or exporting birds is outlawed under Sri Lanka’s strict flora and fauna regulations. The cup-shaped collections of twigs are held together by dried swiftlet saliva, which is made into a gelatinous soup credited in China with everything from alleviating asthma to arresting the ageing process.